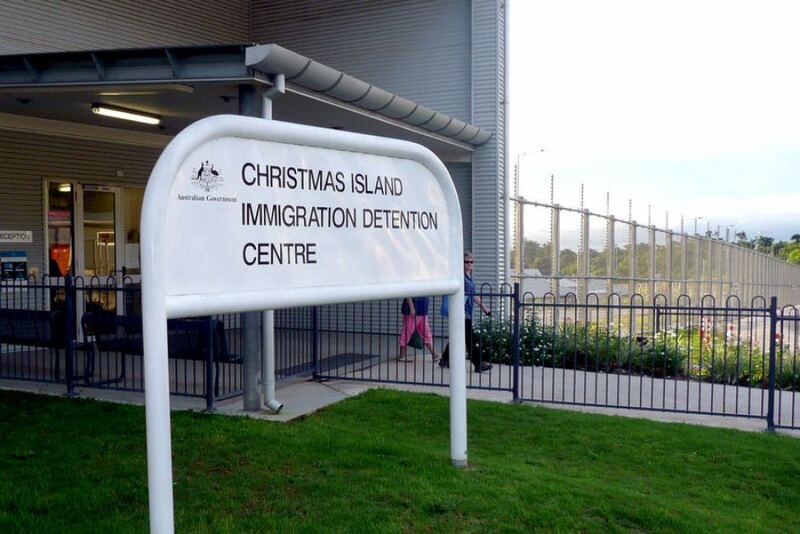 Australia’s Christmas Island detention center has been set on fire by inmates in a “major disturbance” that is yet to be resolved, government officials say. The unrest was sparked by the death of an Iranian detainee, Fazel Chegeni, who had escaped the camp. The immigration department confirmed in a statement that guards had been withdrawn for “safety reasons”. The statement denied a “large-scale riot” was taking place but said the situation at the center for refugees and asylum seekers was “tense”. Christmas Island is a remote outpost located 1,650 miles north-west of Perth and 238 miles south of Java in Indonesia. It is part of Australia’s network of offshore processing centers for irregular refugees who arrive by boat, and also houses New Zealanders facing deportation from Australia. The Department of Immigration said the unrest started when a group of Iranian inmates staged a protest about the death of an Iranian Kurd, Fazel Chegeni. Fazel Chegeni had escaped from the facility on November 7. His body was found at the bottom of a cliff on November 8. The statement said that “while peaceful protest is permissible, other detainees took advantage of the situation to engage in property damage and general unrest”. It said a number of small fires had been lit within the complex and that a group of detainees “continue to agitate and cause damage to the facility”. Australian Immigration Minister Peter Dutton said officers from private contractor Serco, which operates the detention centre, would be “negotiating or dealing with those people who have caused disturbances”. “If people have caused damage to Commonwealth property, then they will be investigated and prosecuted in relation to those matters,” Peter Dutton said. Ian Rintoul, of the Refugee Action Coalition group, said that Fazel Chegeni was “suffering the effects of long-term arbitrary detention”. “He had told other detainees that he could no longer stand being in detention and just wanted <<to go outside>>,” Ian Rintoul said in a statement. Greens senator Sarah Hanson-Young said the unrest was inevitable, and described the centre as being in “meltdown”. “I have spoken with people who are locked up in the centre and they say that there is widespread unrest and fires across the facility,” Sarah Hanson-Young said in a statement. Sarah Hanson-Young said she was concerned that asylum seekers had been locked up with other detainees, putting them “at risk”. Australia sends intercepted asylum seekers to Christmas Island, Manus Island in Papua New Guinea and Nauru in the South Pacific. The government says the journey the asylum seekers make by sea to reach Australia is dangerous and controlled by criminal gangs and they have a duty to stop it. Critics say opposition to asylum is often racially motivated and is damaging Australia’s reputation. The policy was branded a “disaster” by Human Rights Watch’s Australia director in July. The group also raised concern over conditions at the Manus camp.